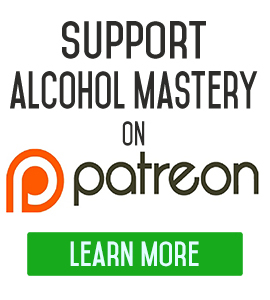 Today I wanted to talk about the ritualisation of alcohol drinking and the loss of the original motivation behind it – why people start drinking in the first place. This is something that happens to all of us. What was the reason behind why you started drinking alcohol? Was it because you wanted to grow up fast? Did you want to feel like you were an adult? Did you want to overcome shyness? Did you want to experiment? Whatever it was, that was the original motivation behind starting drinking alcohol. Most of those reasons, if not all of them, are why I started drinking and continued drinking, throughout my life. Gradually that gets lost. I have talked on previous occasions about how we use drinking alcohol in order to overcome various problems in many different areas. It becomes a ‘go to’ problem solver. We start out just living life on its own terms and we go through and deal with things as they come up, we learn and make mistakes. Once we find something like alcohol, it gives us the opportunity to not think and to push things onto the back burner, to short cut or short circuit these learning experiences, that we have to go through, that we’re supposed to go through, as part of our life. By short circuiting those learning experiences, we also short circuit our own personalities and experiences in life, and we do ourselves a tremendous injustice by doing this, in the long run. Over time, alcohol drinking becomes ritualised, it becomes a part of our daily lives, like the things you do as part of your morning routine. It becomes hard wired into your system and subconsciously becomes part of living life. The ritualisation part of this is the sad part. 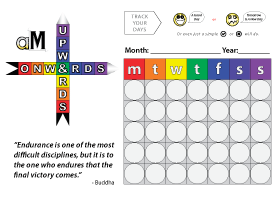 That’s what forms the habit, the persistent, consistent, repetition of doing the same thing over and over again until it becomes a behaviour which encapsulates many parts of your life. Habit behaviour, becomes a habit and then becomes an addiction that you can’t do without, because it is so embedded into your way of thinking. While this is, all happening, we forget why we started drinking in the first case. The drug is still having its effect and you still suffer the consequences of the alcohol. Your body still suffers through becoming tolerant of the alcohol. Your mind becomes tolerant of the alcohol culture around you and of your own personal alcohol culture and the things we start to make up to excuse it. I did a video a few weeks ago, about the excuses we make up to justify why we are doing this to ourselves. Everyone else does it and makes up excuses for it, such as – it’s got health benefits; it helps me relax; it helps me to sleep; it helps me to celebrate – whatever it is. These are things that we make up to justify how we have got into the habit of doing this. On the opposite side of this, people say you are an alcoholic if you drink over a certain amount or over a certain amount of days or if it is interfering with your daily life. But at the end of the day no matter what type of alcohol or amount of alcohol that you put into your body, it still interferes in your life to one degree to another, even if it’s just the opportunity loss of what you could be doing with your time instead of drinking alcohol. So how do you overcome this ritualisation in your life? Unfortunately, there’s so easy solution, it takes hard work and you’ve got to put in the effort in order to do it. You’ve got to stop the alcohol getting into your body in the first place and then take apart the behaviour bit by bit. You’ve got to solve the problems in real time, as they are coming up, bit by bit and you will find that your life will gradually and inexorability improve in the right direction, it will go in the onwards and upwards direction when this thing isn’t holding you back. To me, that’s the biggest mistake caused by drinking alcohol that I made, apart from the physical and mental damage that the toxin was doing to me, the biggest mistake for me was the behaviour itself which was killing and strangling my life. It was taking over any momentum that I was building up when I wasn’t drinking. Once I drank the consequences of that continued in the next day and the following day. The whole behaviour eventually starts to take over more and more areas of your life until you get to the same place as other people you see, that are just living for the alcohol. We are all heading in that direction. Allen Carr said in his book about the pitcher plant trap. As soon as you start drinking you’re in that pitcher, you’re in that downward spiral. Regardless of whether you’ve just started out, or you’re just at different levels of that downward spiral the only way you’re going to get through this is to stop putting the alcohol in your body in the first place and then you can work on things bit by bit. 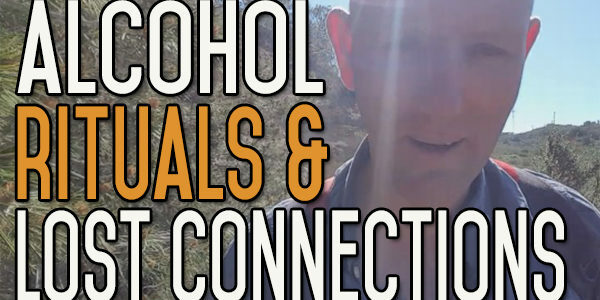 Different ways of overcoming the urges of alcohol. Getting through the first few days and first few weeks and what to do afterwards. How to deal with life without alcohol. How to deal with the boredom. How to deal with sleep. There are inspirational videos, motivational videos, videos that will give you rock solid motivation for you to do this, videos that will push you towards finding your reasons as to why you want to quit in the first place and to give you motivation to quit. 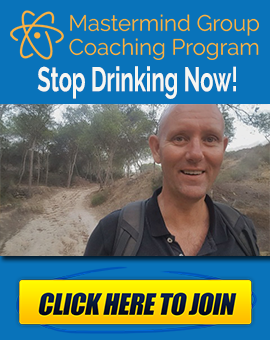 There are nearly 600 free videos and step by step, bit by bit courses, that I’ll lead you through including one about preparation, leading you up to quitting alcohol which is about eight hours in length. We’ve got the ‘How to stop drinking alcohol video course’ which is all about the underlying stuff, a lot of which Allen Carr talks about in his book, and the propaganda around alcohol and that culture that brainwashes us to drink alcohol. 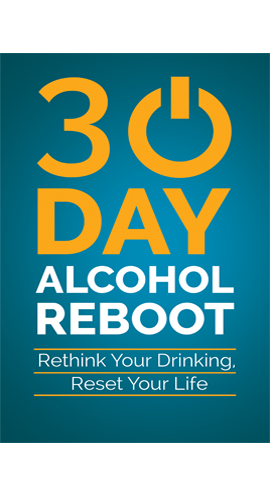 We’ve got the ‘thirty day alcohol reboot’ which is basically a step by step guide, leading you up to quitting drinking alcohol through motivational preparation and what to expect, which leads you step by step through the first four weeks, first three days and when completed will leave you in a much better place to make up your mind whether to stop drinking alcohol or not. Stay safe and keep the alcohol out of your mouth. Good luck to you! I originally drank to give me confidence, and feel relaxed at parties, celebrations. then to excess to kill the pain of losing a child (didn,t really work, it just made grief longer). then the alcohol poison was causing me more physical pain than any so-called benefit. Thank heaven I don’t drink anymore. Free, except the occasional ‘brain fart’. Thanks, also to you for your amazingly honest videos.